In my household, we normally fry our eggs (in ghee or bacon fat). One, because who can resist a runny yolk and two, because they’re so simple to make. 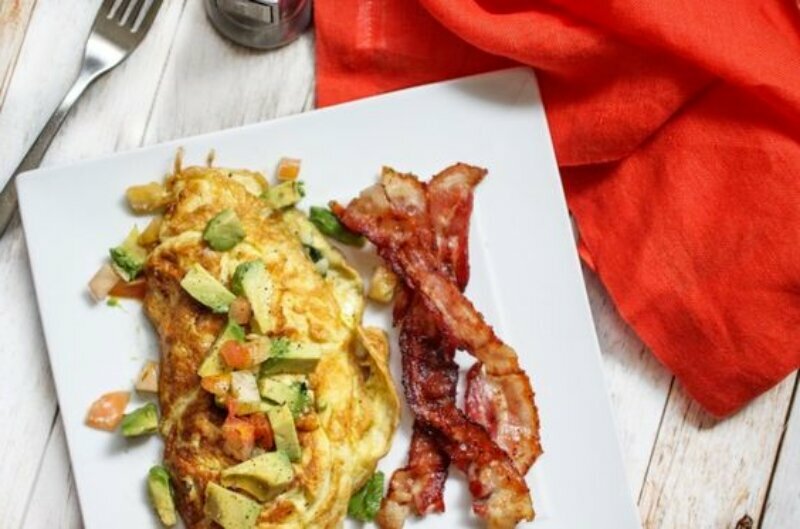 But when there’s a little extra time for prep, such as a weekend morning, or in this case, Memorial Day, omelets are always a nice treat. This american-style omelet combines simple, fresh veggies with some of my Garlicky Greens for an amazingly flavorful and nutrient-rich breakfast. 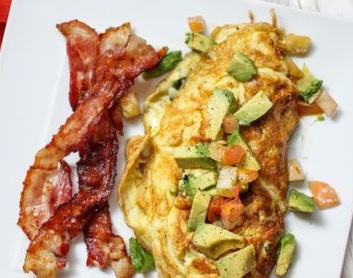 One of the best things about omelets is that they’re super easy to customize. If you don’t like one of the ingredients I’ve used, leave it out. If you have something you’d like to add, feel free. 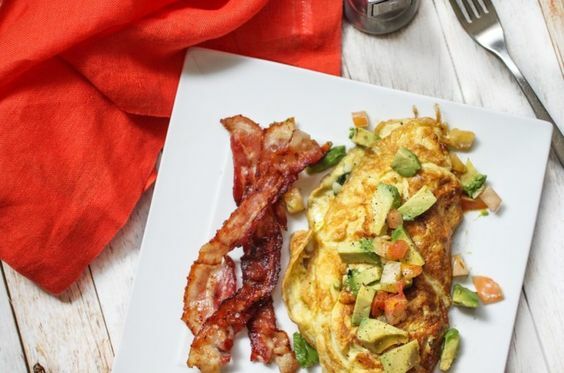 Omelets like this one, especially when served with a side of bacon, make for an extremely nutrient-dense and protein-rich breakfast. Don’t be surprised if you stay full through lunch!